"Man created the concept of time. The Universe knows only eternity." Introduced in the late 1990’s FUT (Follicular Unit Transplantation), also known as the “strip” technique, is the common traditional hair transplant surgery we all know. It works well, but has several negative potential aspects: it is an invasive surgical procedure, the recovery time is several weeks as the donor site wound at the back of the scalp has to heal, there is an obvious and often unattractive scar at the back of the scalp so wearing the hair short in the future is difficult to do without revealing that you have had a hair transplant surgery, because of the extent of the surgery general anesthesia or IV sedation are often used, the risk of bleeding and infection and complications are greater. The new innovative FUE (Follicular Unit Extraction) hair transplant procedure is fast becoming the gold standard for hair restoration. It offers many advantages over the older traditional method. It is a very safe, minimally invasive, relatively minor procedure. 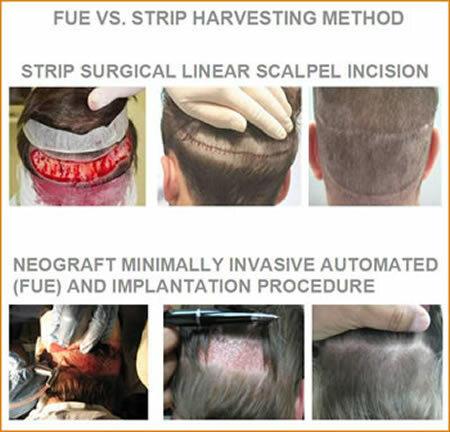 The benefits of the FUE method to the patient are that there is minimal discomfort, no scalpel incision, no sutures, no linear scar, little to no risk of complications, quick recovery time, fewer activity limitations and a more natural looking result than traditional strip methods (patients can wear their hair short if they choose too without an unsightly scar on the back of their head). Although the FUE hair transplant is the most beneficial for the patient the majority of hair restoration doctors do not offer the FUE procedure because performing FUE manually is very tlabor intensive and time consuming. The procedure can be too costly for most patients. And since forceps are used in a manual FUE to extract and implant the follicles there is a risk for a high transection (damage) rate of the follicles. 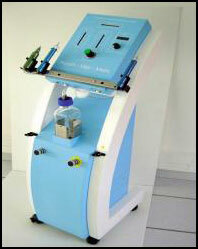 The newest most advanced method of hair transplantation is called the NeoGraft Automated FUE and Implantation System. Now, with the NeoGraft Hair Transplant medical device, the difficulties associated with a manual FUE procedure have been eliminated. An FUE hair transplant with NeoGraft can be done in the same amount of time as a traditional "strip" hair transplant, reducing the cost of a long manual FUE transplant. In addition, to reducing the time required for the hair transplant, NeoGraft uses pneumatic pressure to extract the follicles and precisely implant them as well…"No Touch." This eliminates the need for touching the follicles with forceps during harvesting leaving them in a more robust state. 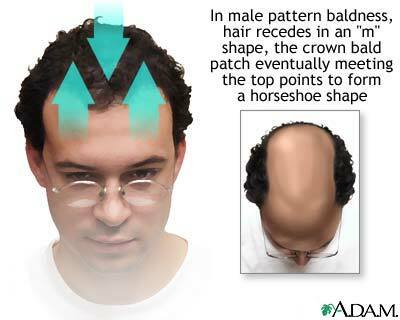 As a man you have to contend with one of the most difficult realities of nature today - male patten baldness. Male pattern hair loss (androgenetic alopecia) is an all too common condition in which men experience thinning of the hair on the scalp. Often, this results in a receding hairline and/or balding on the top of the head. These changes typically begin gradually in 25% of men in their early 20s, but by age 35, around two-thirds of all American men will have begun to experience MPB, more commonly known as male pattern baldness. By age 50 approximately 85% of men will have significantly hair thinning. While male pattern hair loss definitely has a genetic component it has been shown to also be dependent on hormonal effects, specifically dihydrotestosterone (DHT). 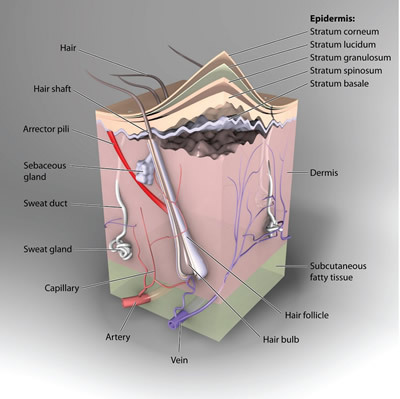 DHT seems to affect hair follicles on different parts of the body in different ways; the way it affects scalps hair is to shut down its growth at a certain age. Current Treatments of Alopecia Androgenetica? Aside from toupees or hair transplants there are medical options that are very effective and have been available since the early 1990's. I began using Finasteride in low doses on myself and my patients in 1993 when I first read the "White Papers" (these are studies that are generally not availabel to the public as they haven;t been published in any journals yet) on the macaque monkeys. This was 4 years before Propecia was FDA approved! The first and grandpappy drug ever was Rogaine (1988). Introduced by Upjohn but since taken over by Johnson & Johnson who acquired the rights to the product in 2006. While the drug started out as a prescription medication it is now available over the counter in many forms including the newest - Rogain Foam. The active ingredient in Rogaine, minoxidil, was initially developed to treat high blood pressure, but researchers noted an intriguing side effect of the drug - it grew hair. According to Johnson & Johnson Minoxidil works by increasing the size of hair follicles. The Mayo Clinic, on the other hand, says that the exact mechanism of action remains unknown. One certain aspect of the treatment is that it works very well on the crown but not on the forehead where the "widow peaks" can be very cosmetically displeasing. In clincial studies almost 90% plus of men using Rogaine Foam regrew hair after four months of use. One real concern is that a rare side effects could actually be increased hair loss. Johnson & Johnson states that this is a possible initial effect in the early stages of use and that the hair will regrow after several months for most men. For some men that initial hair loss is permanent. The drug finasteride has been sold under the brand name Proscar (5mg) as a treatment for benign prostatic hyperplasia (BPH) in men with an enlarged prostate for over 3 decades. Merck introduced Propecia (1mg) in 1997 as an oral medication designed to treat male pattern hair loss. Propecia is a prescription medication. Propecia works by inhibiting a key enzyme that converts testosterone (T) to dihydrotestosterone (DHT). By decreasing the levels of DHT on the scalp you can prevent the shrinking of hair follicles and thus slow down or even stop the hair loss. Clinical studies have shown that 90% of men with mild to moderate hair loss showed visible results after five years. Approximately 48% had regrowth of hair while 42% had no further hair loss and kept what they had. DHT concentrates in the lipid layer of the subcutaneous fatty tissue which surrounds the hari follicle. The medicine is very well tolerated and only a very small percentage (less than 2%) experienced sexual side effects such as decreased libido. While mostly reversible if the patient stopped the drug, the FDA required Merck to include in its packaging that for some men these potential side effects could continue even after discontinuing the use of the drug. While it's not officially available as a treatment for baldness, some physicians prescribe Avodart off-label for patients wanting to regrow hair. GlaxoSmithKline (NYSE: GSK ) markets the drug for treating benign prostatic hyperplasia. The company reported 2012 sales of around $1.2 billion for its Avodart franchise, but how much of that total was prescribed for male pattern baldness is unknown. Like Propencia, Avodart works by lowering levels of DHT. One key difference is that Avodart inhibits all three isoforms of the enzyme critical in reducing DHT, while Propencia inhibits only two of the isoforms. Glaxo completed a late-stage South Korean clinical study for the drug as a treatment for male pattern baldness in 2009. The study found that Avodart significantly improved hair growth, but the company has not announced any intentions to move forward with seeking regulatory approval for the indication. The most common side effects of Avodart include impotence and lowered libido. A more serious adverse effect can be a higher likelihood of prostate cancer. Of course, there are other products that are used as hair loss treatments -- some effective and some not so much. Better yet, more could be on the way. Researchers at the University of Pennsylvania discovered a link between a protein called prostaglandin D synthase, or PGD2, and baldness. The team of scientists developed a PGD2-inhibiting pill and hope to also create a cream version. Clinical trials could begin within the next couple of years. Then there's bimatoprost from Allergan (NYSE: AGN ) . Allergan first developed and marketed the drug to help individuals grow eyelashes. In May, the company announced disappointing phase 2 results for bimatoprost as a treatment for baldness. However, Allergan plans to move ahead with testing using a much stronger formulation. While the odds are stacked against men with respect to baldness for now, current treatments can help. Future treatments could help even more. In the meantime, just keep holding on. Robert Hashemiyoon M.D. © Copyright 2013-2018. All rights reserved.